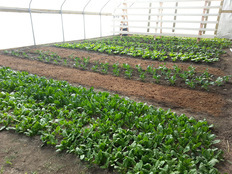 Kyle Koehn from Fairacre Farm in Iroquois, South Dakota, shares how the farm successfully grows produce for nearby schools, even during winter! In the midst of a cold February, Fairacre Farm is still growing fresh produce to sell to the elementary schools in Huron, South Dakota. The local produce is used for the schools' Fresh Fruit and Vegetable Program. Students are introduced to a variety of fresh fruit and vegetables and get to taste test each one. Since the first of the school year, students have tasted spinach, arugula, butter and frisee lettuce, Swiss chard, kale, tatsoi, and red giant mustard greens sourced from Fairacre Farm. 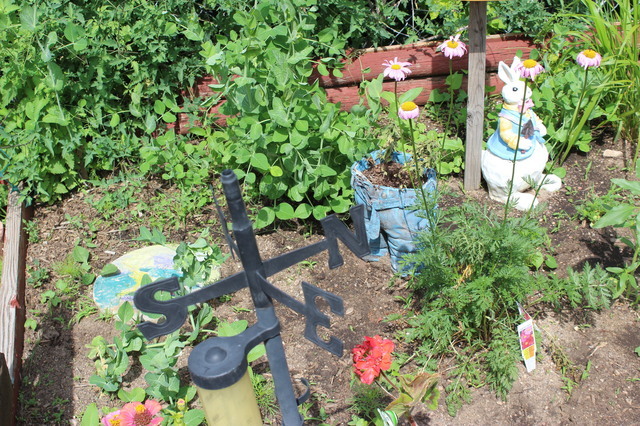 Purple cauliflower is growing, snow peas are blooming, and soon there will be a colorful blend of purple, yellow, and green peas. But how does the farm overcome the bitter temperatures of winter? 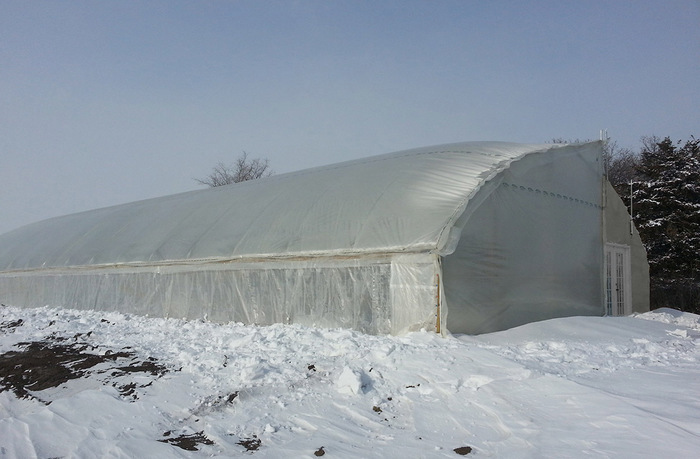 The farm sustainably grows throughout the cold season using a system where air is forced through a network of pipe buried under the greenhouse. The warm air coming from underground keeps the temperatures in the high tunnel up to 50 degrees warmer than the outside temperature. It can get down to -30 °F at night in the middle of a South Dakota winter, so this is a huge help! On sunny days, no matter how cold it may be outside, it quickly heats up inside the tunnel. The warm air is circulated underground and stored for nighttime use. What fun to step into the high tunnel out of cold, wind, and snow and experience warmth, earthy scents, and growing plants! Learn more about Fairacre Farm’s farm to school success via their Facebook page. Help raise awareness of the importance of food and nutrition to education by joining the celebration of International School Meals Day, Thursday, March 3! International School Meals Day brings together children and communities across the world sharing to share experiences, stories and news about food in their local communities. We’re excited for this year’s theme of fresh and healthy local foods! Many schools around the globe have farm to school programs. Local farmers play a huge role in strengthening local economies and contributing to vibrant communities everywhere. Curious how other countries use local food at school? Follow the activity on Twitter using #ISMD2016 or go to this tumblr page to see stories and pictures of favorite dishes and traditional school meals. Share your own photos and stories with this cross-cultural opportunity! Incorporating gardens, nutrition education, and local food into a preschool setting are a great way to set little ones on a path to healthy eating, which is why we’re drawing your attention to this great opportunity! Smart from the Start Awards encourage preschool teachers to create practical, long-term improvements in nutrition and physical activity at their preschool. Early childhood education or Head Start centers that offer a pre-K program are eligible to apply for a $20,000 cash grant! Ten second prize $2,500 cash grants will also be awarded. The deadline is Thursday, March 3, 2016. Don’t miss the upcoming webinars in our Planning for Farm to School Success webinar series! You can find the entire menu of topics, as well as past recordings, on our website.